gla.MAR.ous » Motivation Monday: Keep Your Eyes Open. Motivation Monday: Keep Your Eyes Open. Remember that every day you walk out the door is a new opportunity. You can see something random and get struck with the most brilliant idea you’ve ever had in your life. Stay beautiful, fashionable, sassy, but overall STAY INSPIRED. 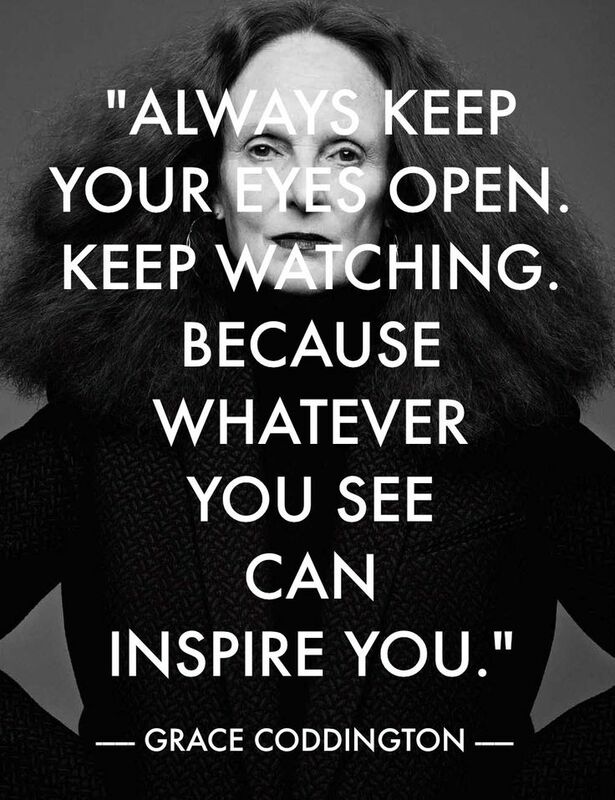 Heed the words of the brilliant Grace Coddington, they’re wise ones.